Would you like to have the Namer IFV in the game? 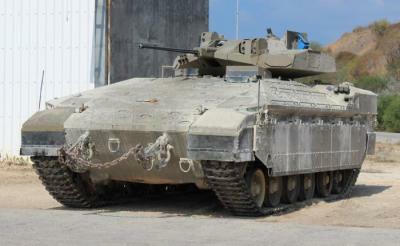 The Israeli Namer (Leopard) is the best IFV in the world. It uses the Merkava Mk4 chassis and body giving the same amount of armor as the MBT itself. 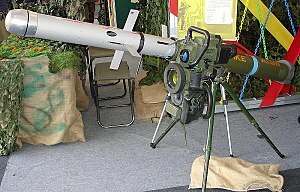 Its 30mm Auto cannon sits inside the unmanned turret along with a secondary gun which is a 60mm externally mounted Mortar. Its engine is a 1200 HP Turbocharged V-12 Diesel allowing it to go top speeds of 40 mph (60 kph). Would anybody like to estimate what the stats would be if it was added to the game? 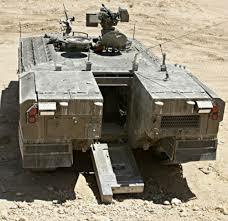 The Israeli Namer (Leopard) is the best IFV in the world. It uses the Merkava Mk4 chassis and body giving the same amount of armor as the MBT itself. First of all, T15 is currently the best IFV, second, that’s Merkava mk3 chassis not mk4. Well well well.... This could be more exciting! Yeah! Everyone can put reactive armors on every tanks. Just put some and it will protect it from HEAT and RPG-7.